...Certain questions come up all the time about my P90X experience. So I created a page to share my answers. Welcome to the P90X Workout FAQ (Frequently Asked Questions) Page. 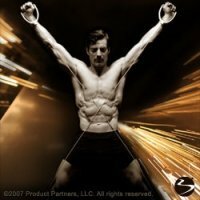 The questions below are ones that I've received over the past few months about my experiences with P90X. If you have additional questions, please feel free to email me and I will be happy to answer your questions and post them on this page. Question: How long was it before you saw results? I didn't start seeing results in the mirror until the 60 day mark. I didn't notice a change on the scale until the very end of the last phase-90 days. Question: I couldn't make it all the way through the workout. Will I still see results? Yes. When I started the program I couldn't complete Plyometrics or some of the other programs either, but I kept working out and did my best. I still saw results. Half the battle is showing up. Question: Can I substitute the Yoga X for something else? I (and a lot of other P90xers) have, at some time during the program, substituted Yoga X with X Stretch. However, you should know that Yoga X is an important component in the P90X program. Question: What equipment do I have to buy in addition to the P90X program? You will need resistance bands and or dumbbells; a pull up bar; a chair; a towel; and a yoga mat. Other equipment is recommended such as push up bars and a heart rate monitor. Question: Is it okay if I still go to the gym and workout? Sure. You can do additional workouts in conjunction with your P90X workouts. Be careful though that you don't over-train making yourself prone to injury. Question: I work long hours and sometimes I'm too tired to work out when I get home. What should I do? Listen to your body. If you are too tired physically to work out go ahead and rest. But, if you are just feeling "lazy" and it's more of a motivation thing, go ahead push play and work through it as much as you can. Just do your best on lazy days. And on the days you can do more, do more. Question: How did you like the program? I like P90X a lot. I'm doing a second round with heavier weights and resistance. It is true that anyone can do P90X, but it is not a program for everyone. You have to be mentally prepared for the commitment required. Question: I heard the workouts are really long. Is that true? The longest workout is about an hour and a half (Yoga X). The other routines are approximately an hour long.